Back at it again with the spending Soph. 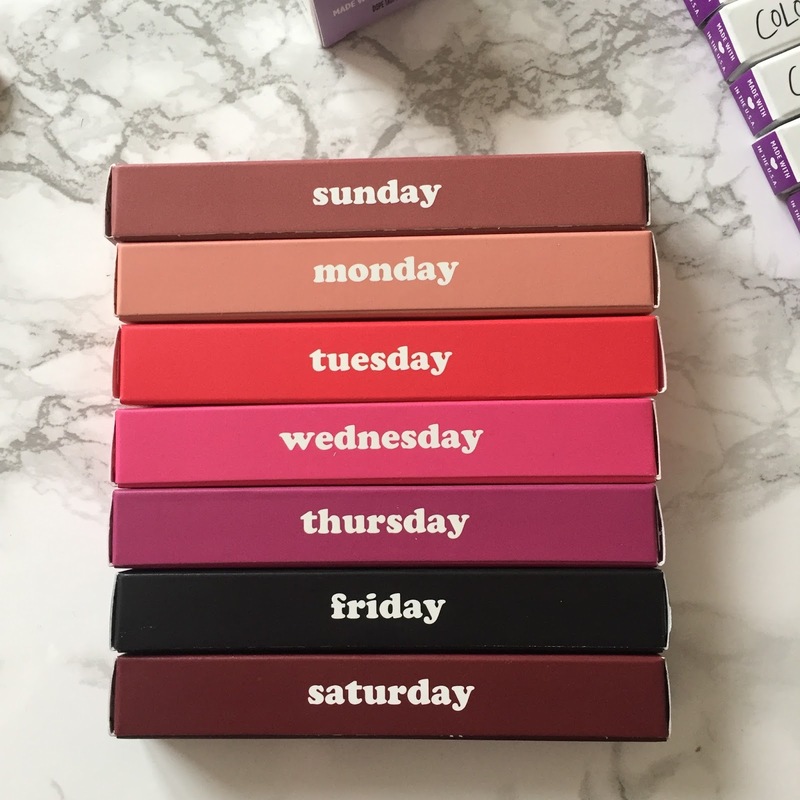 But seriously, I somehow spent so long adding more and more liquid lipsticks to my basket on the Colourpop website that I ended up spending £100. I'm done with myself. But it was worth it. 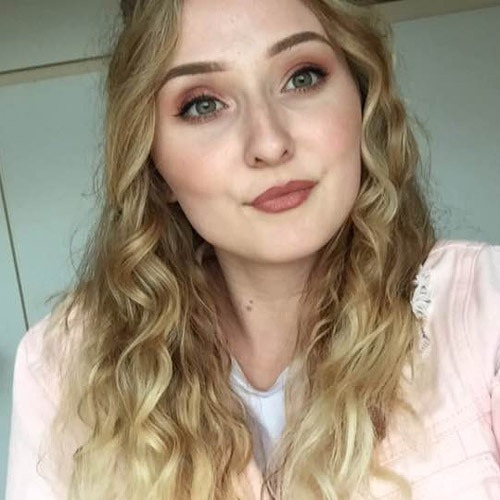 Colourpop have some of my favourite liquid lipsticks; their mattes and their satins are to die for. Seriously. 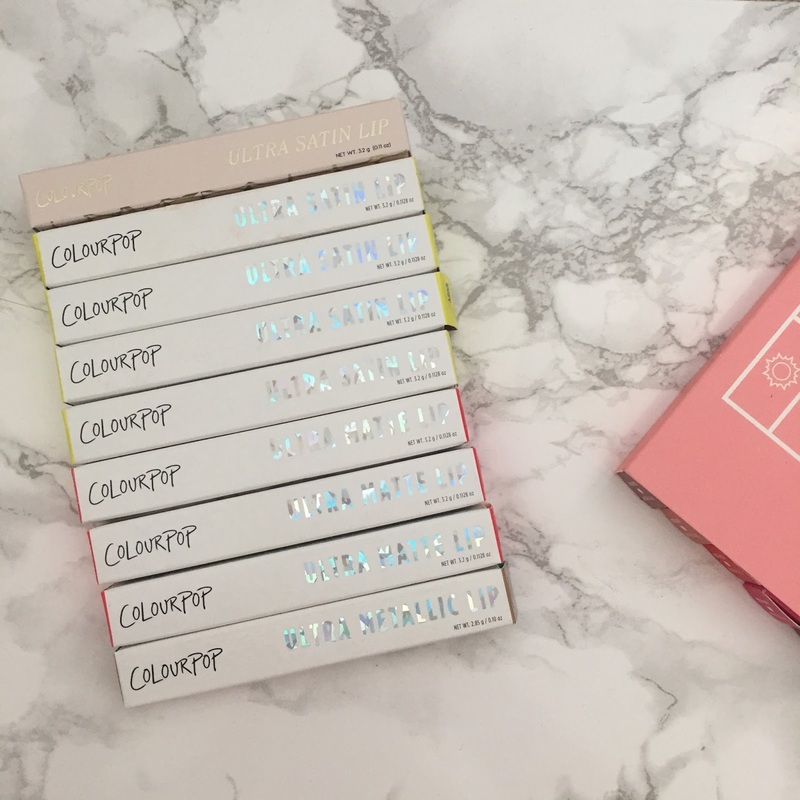 Choose wisely, but Colourpop have got something for you. 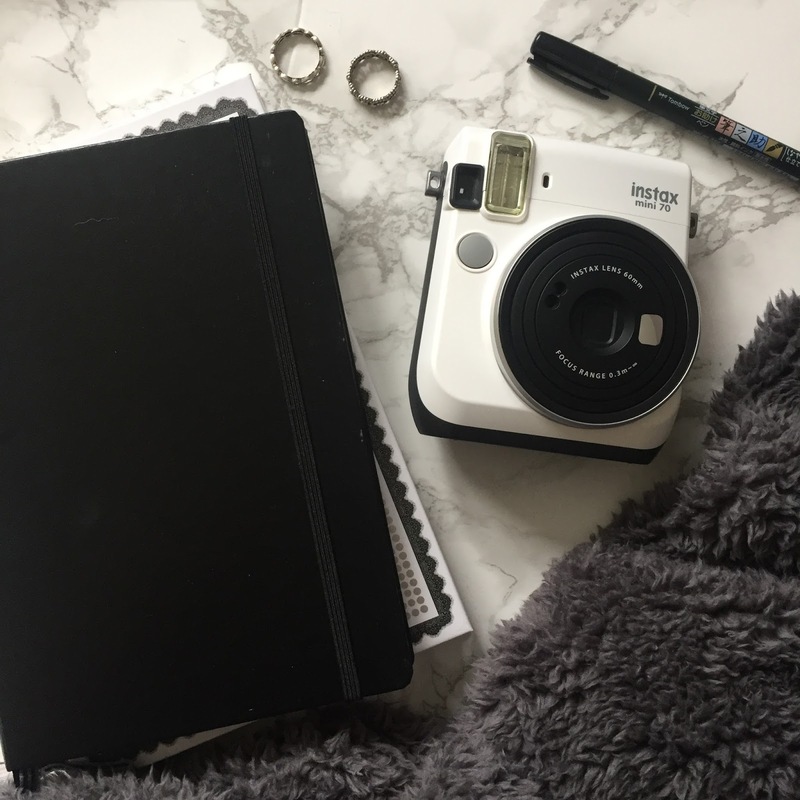 I did a good old haul (shock) so I thought I'd share all the bits I picked up, because yes. I spent too much. Again. 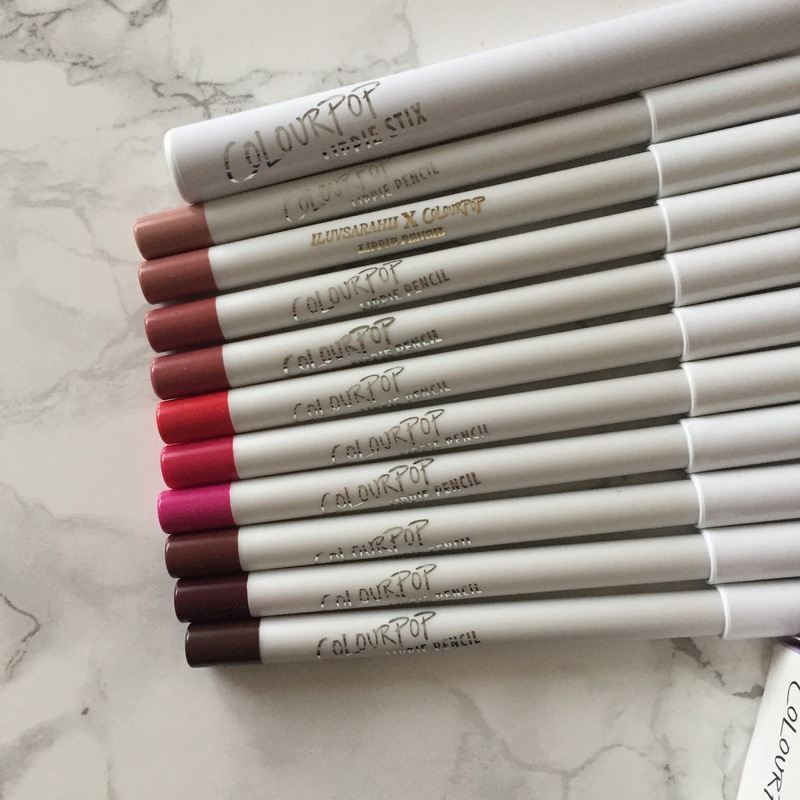 A lip product I haven't tried from Colourpop that I knew I wanted was the lip liners. I have heard such good things about them, and since they work out at around £4 each it was damn hard to talk myself out of it. 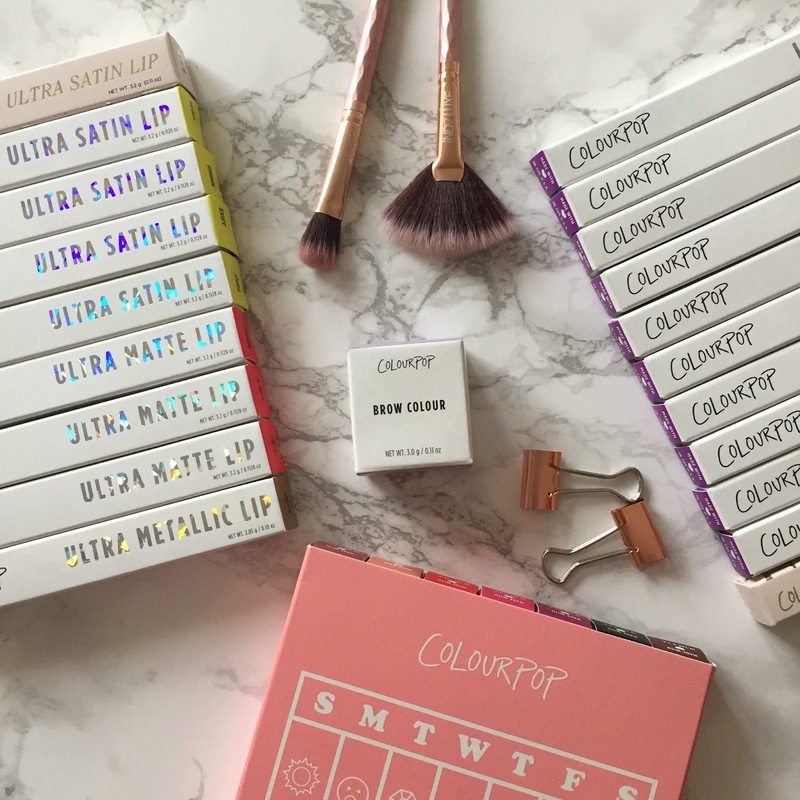 Starting with their lip liners (aka Lippie Pencils) and of course the lip primer which I haven't pictured here because it's legit just a clear primer that you put on under lipsticks, just like you would a normal primer on your face. Voila. 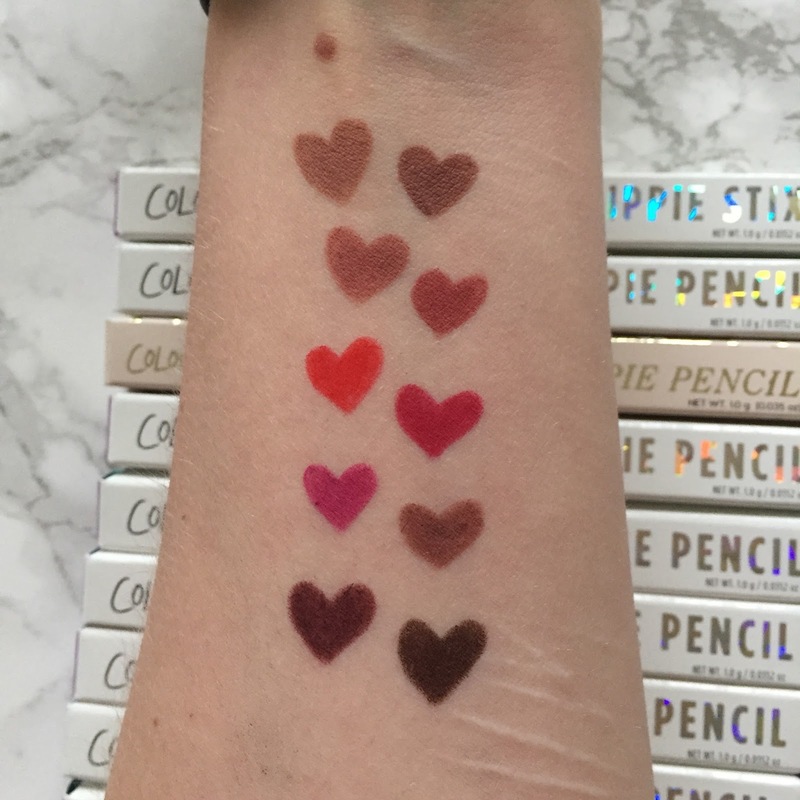 From left to right, top row going down (had to make this difficult didn't ya Soph) I got BFF, 951, Brink, Bumble, Frenchie, I Heart This, Heart On, Grunge, Dukes, and Pitch. Some of these I got because I loved the colour (especially the nudes of course) and some I got specifically to match the Liquid Lipsticks. 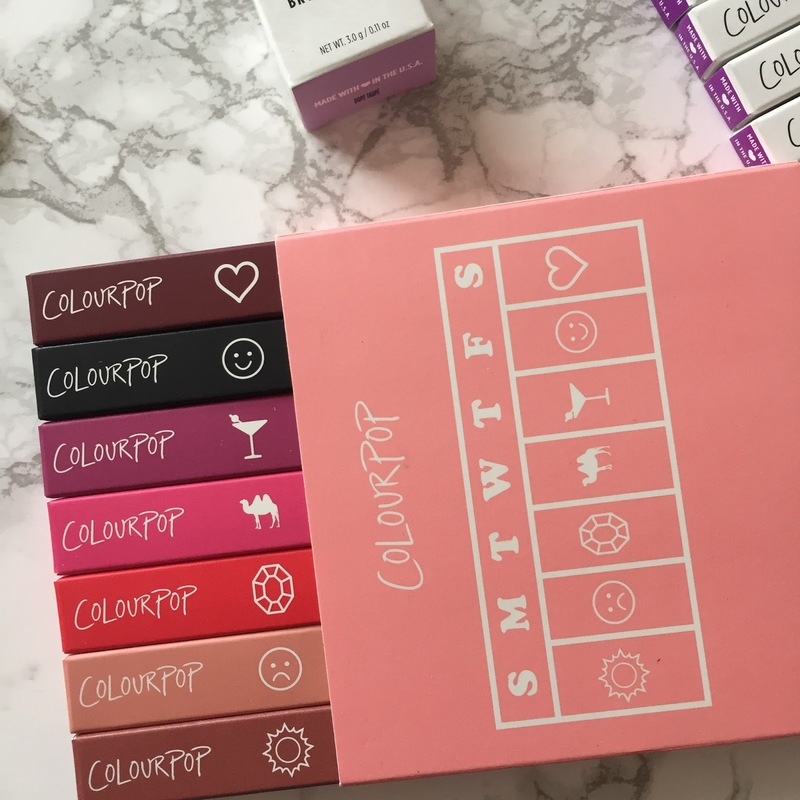 'Cause Colourpop are nice like that and put suggestions of what colours match what other products. Thnx baes. I've been lusting after this Moment of Weekness set for the longest time so it seemed fitting that I got it in this haul. 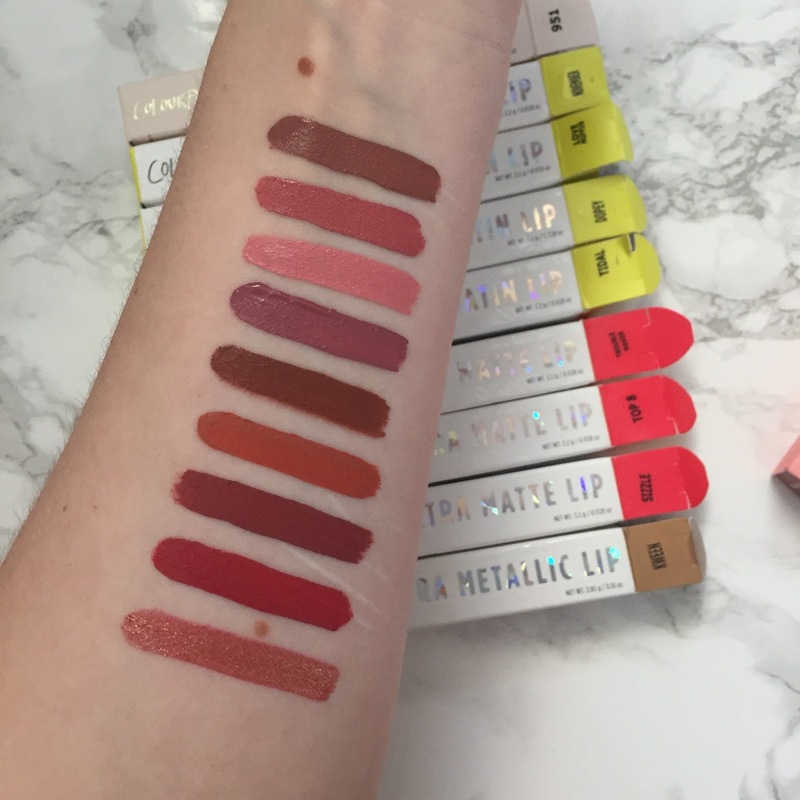 This 7 piece lip bundle is perfect for die hard Colourpop lovers or people who are just starting out using liquid lipsticks, it's $35 for the whole set and there's definitely a range of colours. 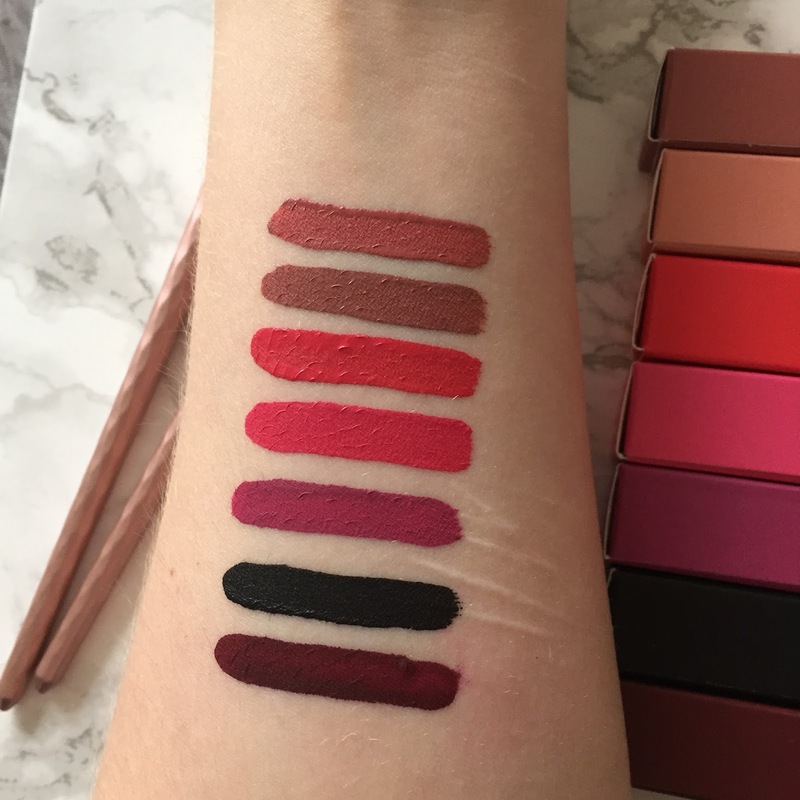 Of course I couldn't really stop there so I had to get a few (or a lot) more Ultra Mattes, Ultra Satins and even an Ultra Metallic - pushing the boat out Sophie - BUT they did have a sale on where you could buy 2 lipsticks and get one free. And who am I to turn down a sale?